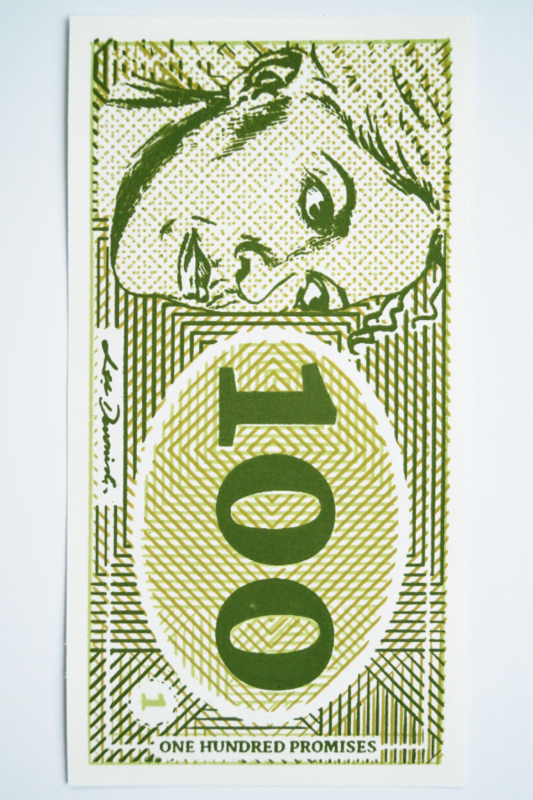 100 is a three-colour, double-sided screen print that takes the form of a banknote. 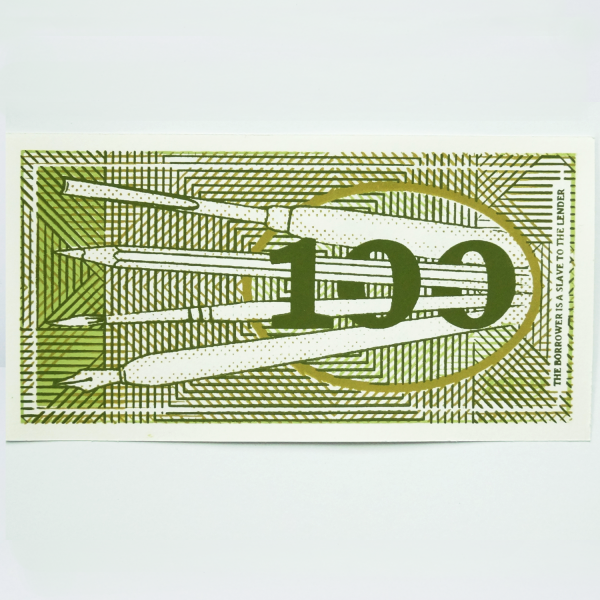 This note features, on the front, the artist’s profile as well as the denomination “One Hundred Promises”. 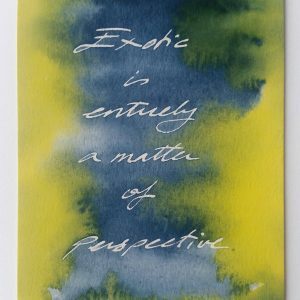 The back side of the note features four tools of the artist’s trade – the pen, brush, pencil and gouge, referencing variety of media in which I work. 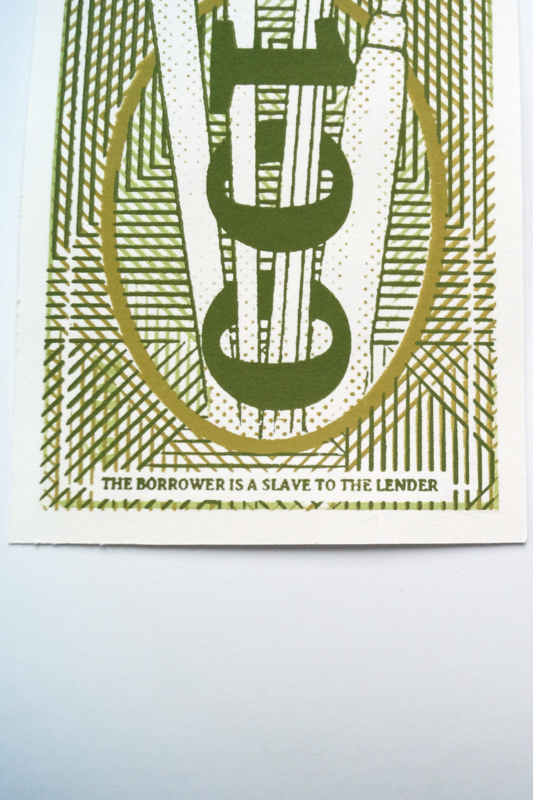 On the right of the back is printed, “The borrower is a slave to the lender”. 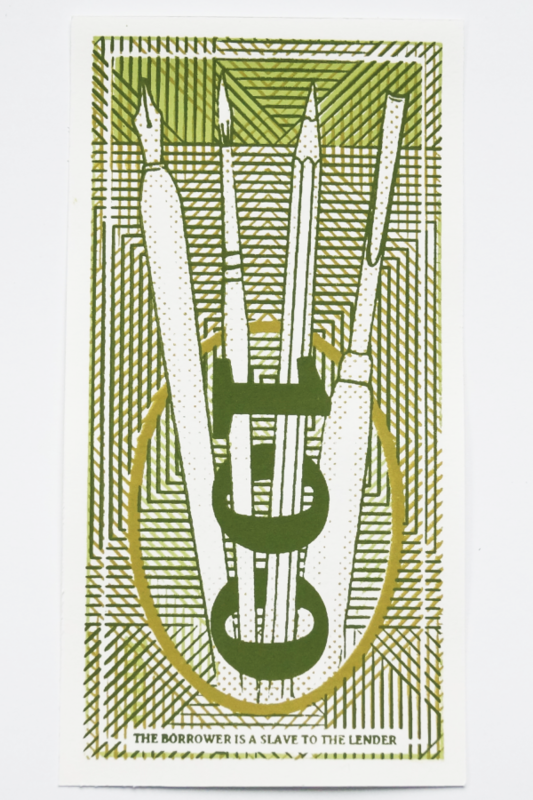 The background of each side is made up of intersecting geometrical patterns, printed in three separate layers of colour. 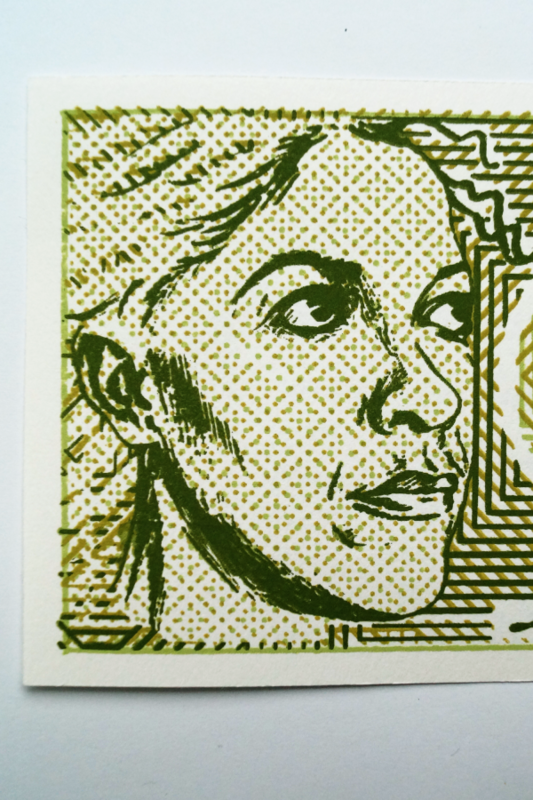 This print is in an edition of 7, and this listing offers no. 1/7. 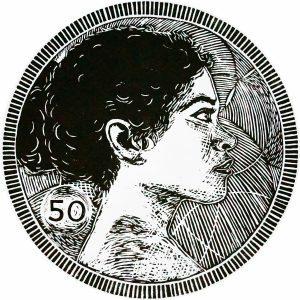 As this is a run of original screen prints, each print will be slightly different and imperfect, as is the nature of hand printmaking. 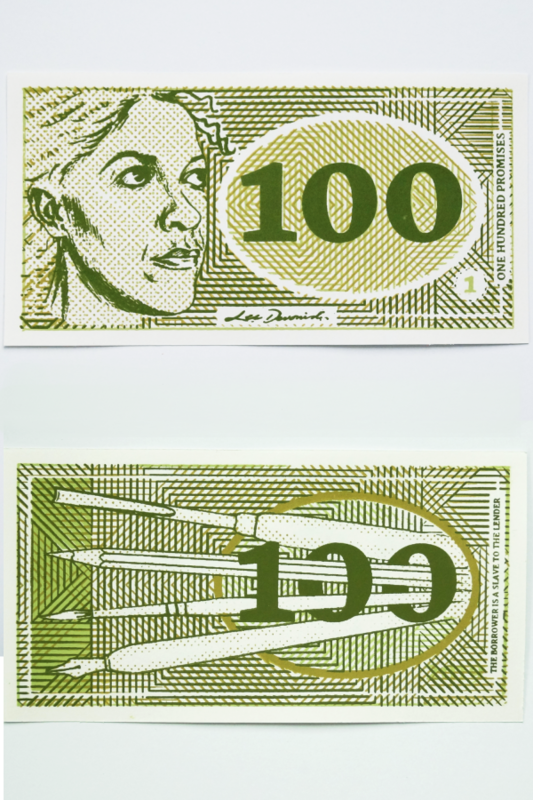 This piece combines the material of banknotes with the language of pop art, and forms a key part of the artist’s currency project. 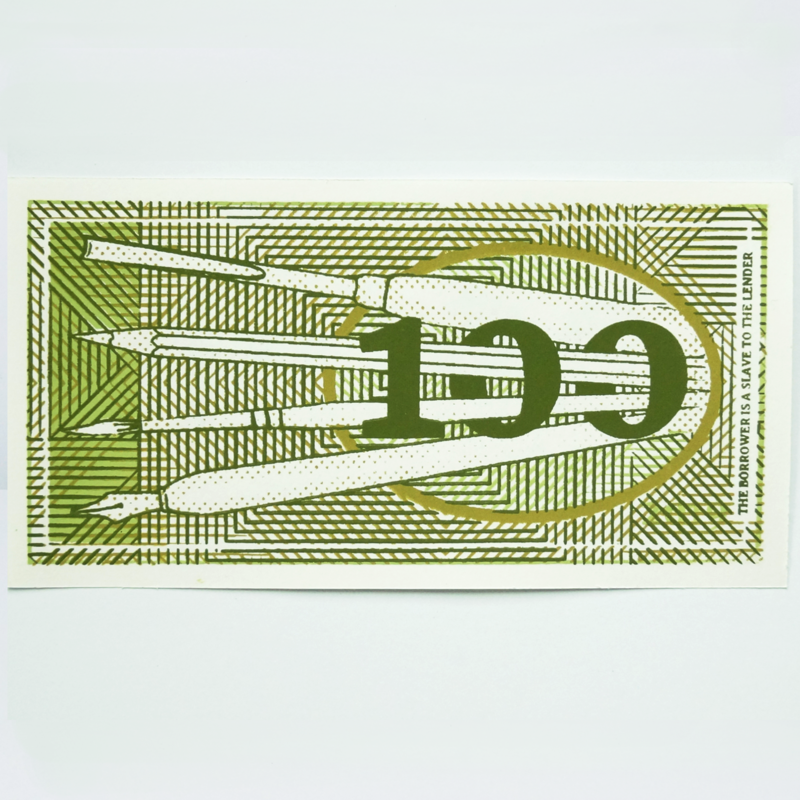 Screen print on paper, using waterbased ink. 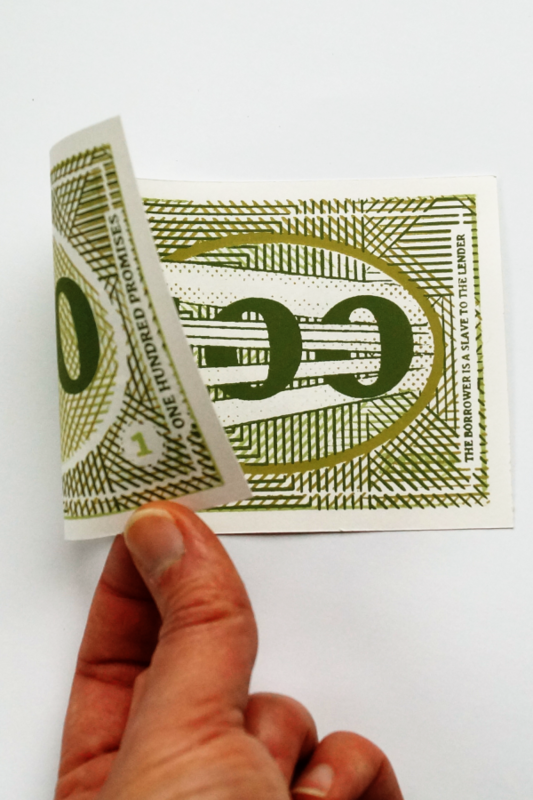 Modern banknotes are historically produced by engraving, and have recently undergone many high-tech upgrades in order to thwart counterfeiters. 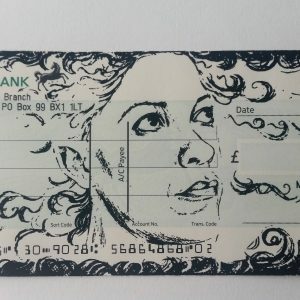 A screen printed banknote rejects the traditional notion of engraved, precisely identical notes and embrace the medium of screen printing with its capacity for misalignment and its tendency to fall between fine art and industrial process. 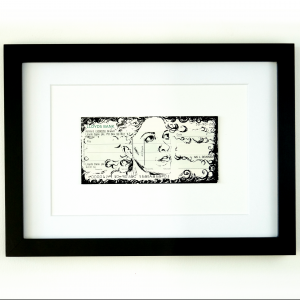 This work relates closely to the Promise prints, 250 coin, as well as to the Fifty print series.